Shepherds Purse Cheeses has again been recognised amongst best in the world with a haul of awards at this year's World Cheese Awards, the biggest global cheese only competition. Our prizes included Super Gold for Harrogate Blue, Gold for Mrs Bell's Blue and Bluemin White and Silver for Yorkshire Blue! 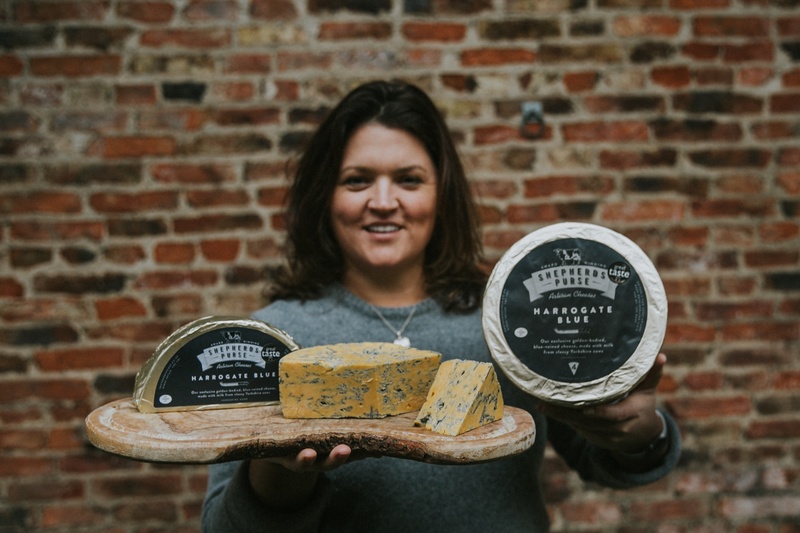 Harrogate Blue, which was the first cheese launched by Katie Matten and Caroline Bell after taking over the running of the dairy from mum and founder Judy Bell in 2012, was also included on the top table of the best 16 cheeses at the event from more than 3000 entries. The prestigious prize was awarded at the World Cheese Awards, organised by the Guild of Fine Food, which this year celebrated its 30th anniversary and took place at London’s Tobacco Dock as part of a collaboration with Taste of London. Shepherds Purse competed against more than 3000 cheeses from 35 countries around the world and was judged by an esteemed panel of famous faces from the world of cheese, including Sue Cloke “aka The Duchess”; journalist Patrick McGuigan and founder Bob Farrand. 230 judges from across the globe travelled from 29 different countries to nose, taste and grade the cheese. Harrogate Blue wasn’t the only Shepherds Purse winner at the cheese industry’s Oscars, the dairy also picked up two Gold awards for Mrs Bell’s Blue; a Gold for Bluemin White and a Silver for Yorkshire Blue. Caroline Bell said "Katie and I are absolutely thrilled to win Super Gold for Harrogate Blue at this year’s World Cheese Awards. I’m so proud of my sister, Katie, for developing the cheese and it’s been a favourite since it’s launch. It was such an honour to hear the judge’s comments as Harrogate Blue was judged as one of the top 16 cheeses in the world by a panel of esteemed judges." Caroline continued "To win Super Gold, 3 Golds and a Silver is a tribute to the consistent world-class quality of our handmade cheeses and the passion from our whole team that goes into each and every truckle and wedge that leaves our dairy. We’re also very proud that this is the third consecutive year that one of our cheeses has won a coveted Super Gold award. We are delighted to fly the flag for English cheeses and indeed Yorkshire cheeses on the world stage." Judges work in teams of three or four, identifying any cheeses worthy of a bronze, silver, gold - or no award. They are looking at the rind and the body of the cheese, its colour, texture, consistency and, above all, its taste.